I once came across a book that claimed Thanksgiving was a Christian holiday. This struck me since I had always considered it a secular celebration, so I dug deeper. Thanksgiving became a national holiday during the American Civil War. In his speech announcing it as such, Abraham Lincoln referred to G-d several times. Yet it seems his goal was to bring Americans together rather than create a religious holiday that might alienate certain segments of the population. When I researched the first Thanksgiving, however, I read in a children’s textbook that the Pilgrims wanted a religious harvest holiday of their own similar to that of Sukkot. Therefore, one might say that the first Thanksgiving was the Pilgrim’s Sukkot. 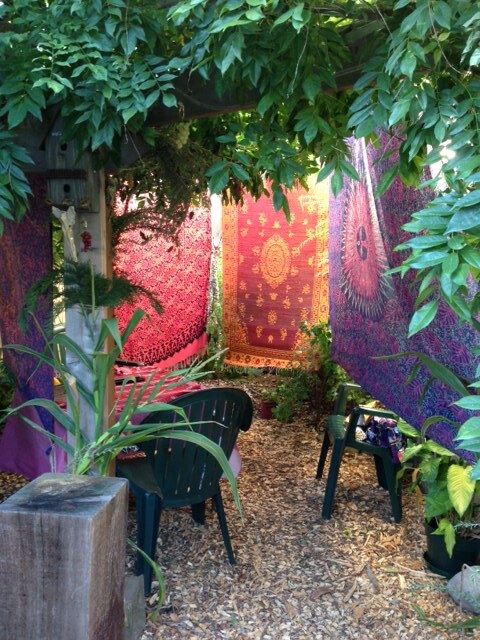 According to Rabbi Gershon Winkler, Sukkot celebrates the external harvest of crops and the internal harvest of the spirit. During the autumn holidays of Rosh Hashanah and Yom Kippur, which lead directly into Sukkot, we take stock of everything we’ve done for a year. We learn from and atone for the things we’ve done wrong and try to release those things blocking us spiritually. This letting go is similar to harvesting the crops so the fields can go dormant over the winter and be prepared for new growth in the spring. This act of letting go allows us to seek our own personal renewal and healing, so we too can grow. There are a number of traditions during Sukkot, including the building a temporary shelter called a Sukkah out of freshly cut wood and branches in which we sleep and eat for seven days. Another involves gathering together branches of palm, myrtle, and willow, which together are called the lulav. On each day of Sukkot, we hold the lulav together with an et’rog (a citrus fruit) and wave them to the East, South, West, and North; to the sky; to the earth; and to the heart. Each of the four species and the six directions has shamanistic and kabbalistic significance. The et’rog is unique among fruit because it retains both its male and females parts after being picked. This symbolizes the need for both male and female to create life. 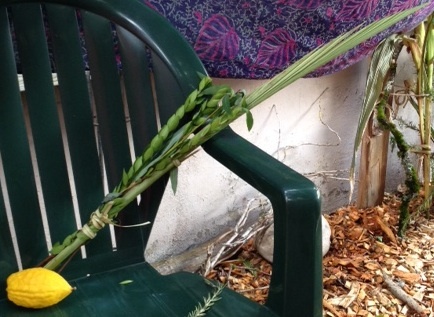 According to Rabbi Luria, the sukkah represents the womb of mother earth and the lulav is a phallic symbol. Rabbi Gershon Winkler has written that this symbolizes both the feminine and masculine aspects of G-d, what he called Mother Earth and Father Sky. Men and woman have different perspectives, but only when we bring those perspectives together can we see the whole picture. People of different cultures also have different perspectives, and we can learn from them all. Thanksgiving is the perfect time to harvest the wisdom of different cultures. As I wrote in my last post, the Pilgrims were intolerant of others. So isn’t it interesting that they borrowed from another culture to create Thanksgiving? All cultures influence one another especially in a country as multicultural as the United States. I think it is important for us to remember how intolerant our American forefathers were, but it is also important that we let go of that and bring together all the cultures in this country in the same way we bring together all the food of the harvest. In this day when fusion food—the blending of cuisines—is such a fashion, I believe it is especially important we appreciate what each culture brings to the table.